Hey all, in addition to selling kapton stencils I am also very interested in GPS related techonology. OHARARP LLC got its start with our line of SD GPS Dataloggers and I am always keeping an eye out for great new gps related technologies. 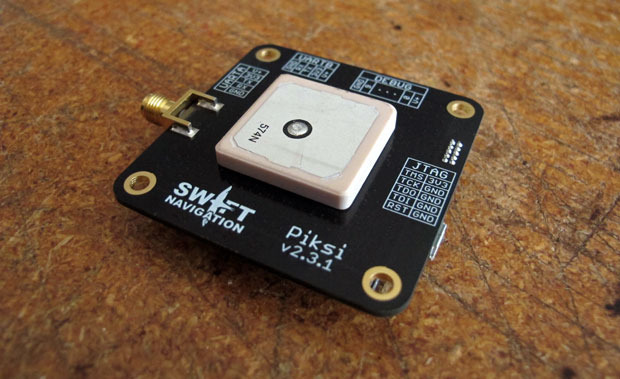 One of our stencil customers, Swift Navigation, has recently started a Kickstarter for their new Piksi RTK GPS solution. We have helped Swift-Nav out on a number of their projects by providing Kapton stencils for their surface mount component assembly needs. All the hardwork they have put in appears to have paid off and is evidenced by all the detail seen at their Wiki. We are a backer of their Kickstarter and we hope you are too! It’s even cooler when you see that a service you provide is helping out others on their way to bigger and better things! Hopefully, we can help you do the same with your project!